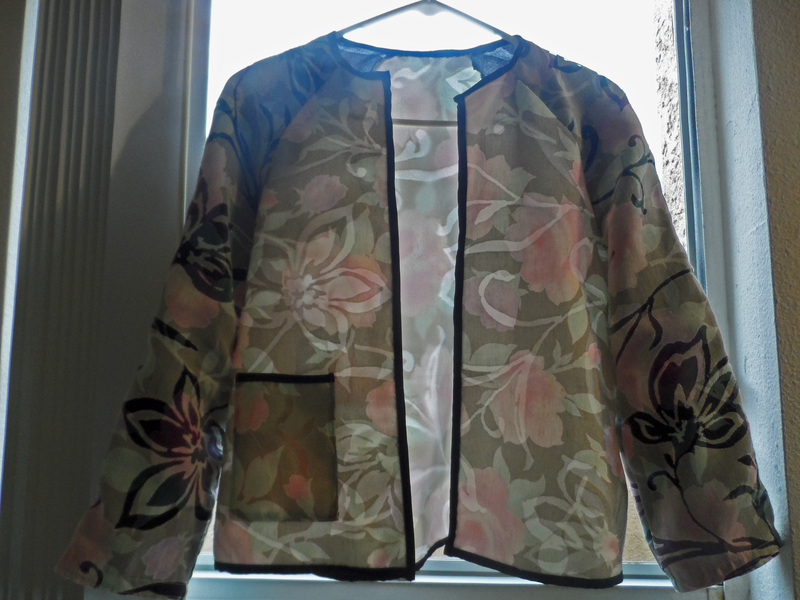 Finally, back to sewing: cropped jacket! – Go ask Alisa – DIY capsule wardrobe one stitch at a time! So, it has been some time! We are super busy here: moving, prepping, celebrating! Two days ago me and Jared celebrated 5 years of being together, what a date! Happy to be with the one I love, and even happier to look forward everything in the future. Back to the sewing though, making couple of jackets was one my “to do list” for quite a while now. The problem was: I never made a jacket before… As we all know, there is a first time for everything. If to be honest, I was scared to death to start tracing out pattern for my first jacket. It seemed terrifying, just like that! 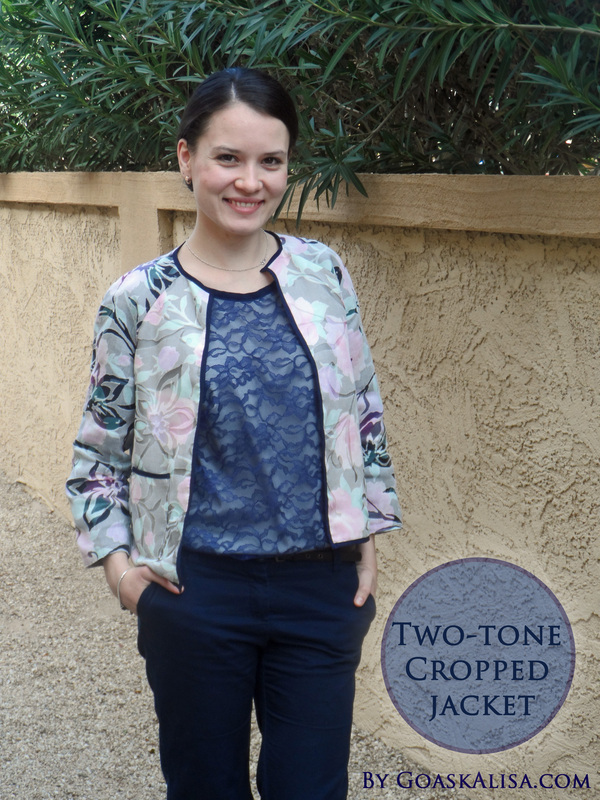 Pattern: Burda’s pattern from 3/2014, lace jacket 129, plus size. This one required a lot of alterations, A LOT. The original pattern is a plus size pattern, so it took some time to size it right. It came out great, therefore I am happy! 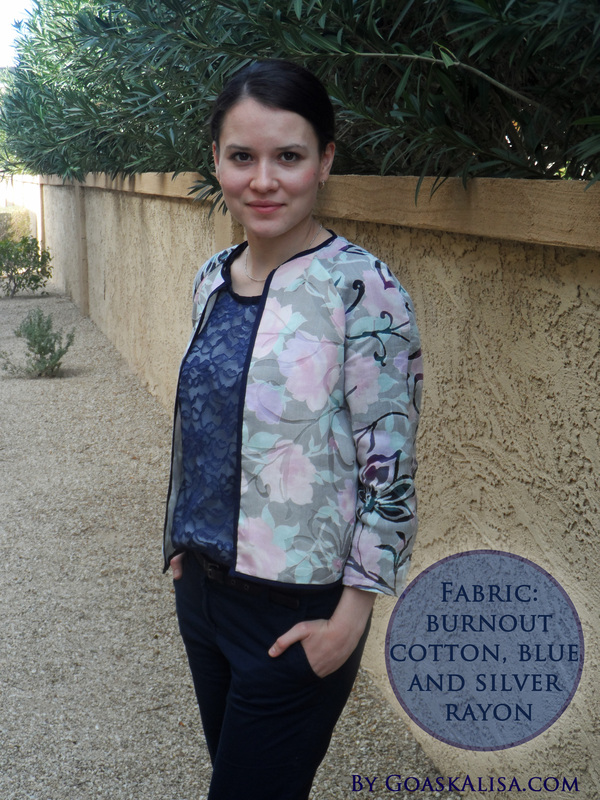 Fabric: burnout cotton, rayon of two colors: pink and blue. The body part is lined in a blush pink rayon and sleeved are line with dark blue rayon that gives it a pop of color and originality! New experience: this is my first jacket ever, and everything was new. 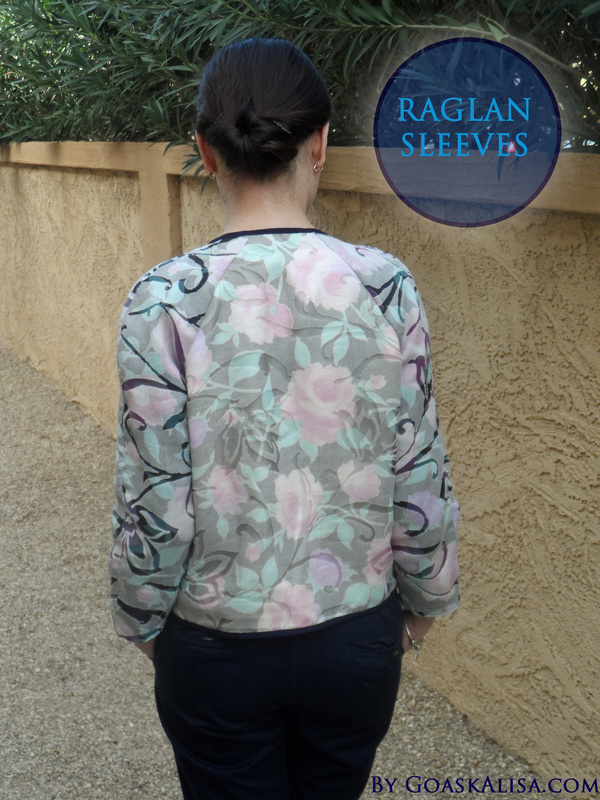 When I started, I was a little bit unsure about the fit of raglan sleeves, doubting the thickness of the fabric as well. For this type of jacket you don’t really need a thick fabric to hold the shape. Original pattern called for two slit pockets, I decided to omit that step and make only one sewn-on pocket with a contrasting edge. By the way: this blue lace blouse is also my creation, take a look at it here! I am absolutely in love with this jacket! It is easy to wear, very colorful and vibrant! 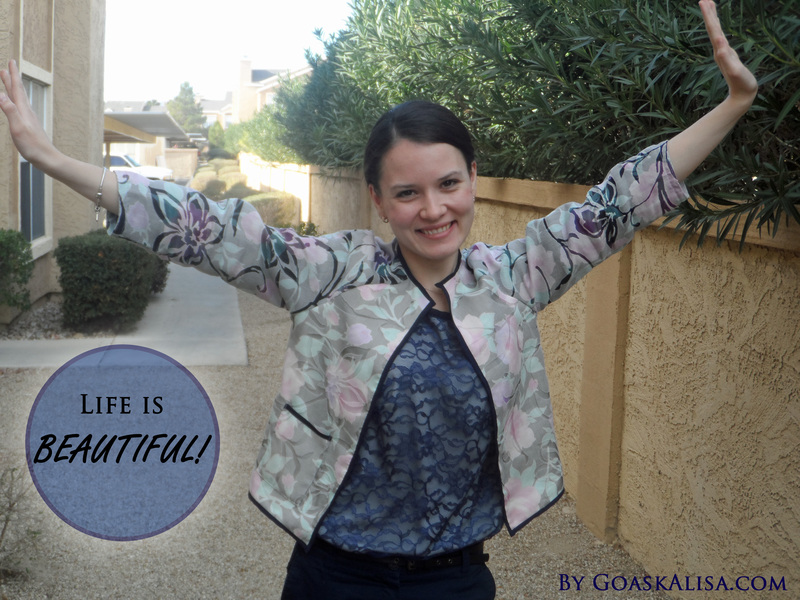 Congratulations on your fifth anniversary, and what a gorgeous jacket with a great fit (especially given how much pattern alteration you needed to do)! 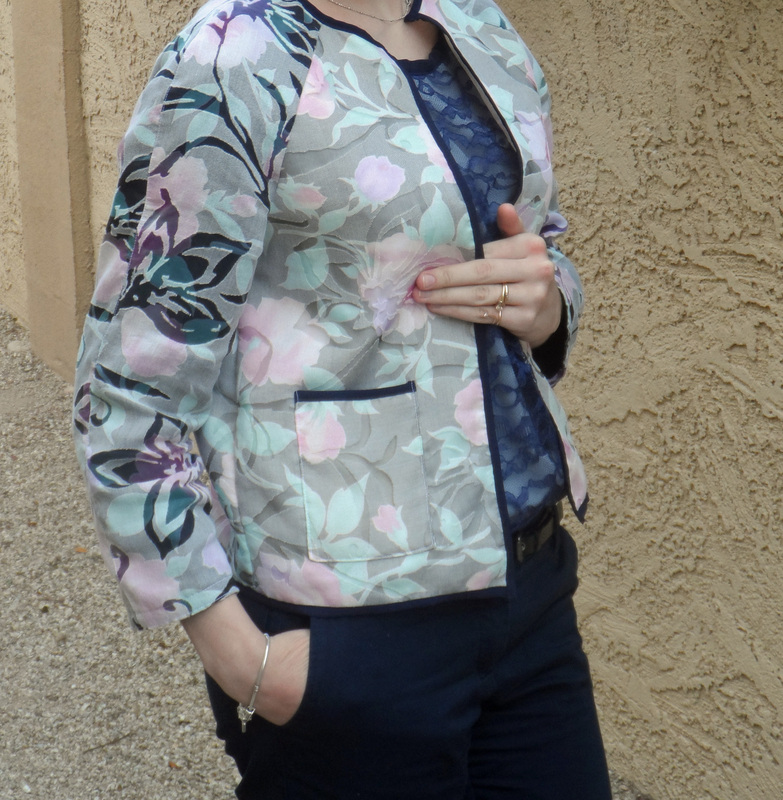 I’ve been contemplating making a jacket in the Spring, and have been tempted by Burda’s raglan-sleeved bomber jackets but the whole ‘bomber jacket’ look with elasticated cuffs and hem wasn’t really my bag. You’ve just proved to me that my idea of leaving the elasticated cuffs off, and making a sophisticated fabric choice, will work beautifully, thank you! Next Next post: Belated wordless Wednesday and apple pie recipe!